When my father got remarried, my family dynamics changed, a lot. I went from having two younger brothers to having sisters, plus an additional brother. I also found myself having to learn to craft a relationship with a new parent. Over the years we’ve all had our ups and downs, but despite all my teenage angst I think I came out on the other side with good relationships with all three of my parents. 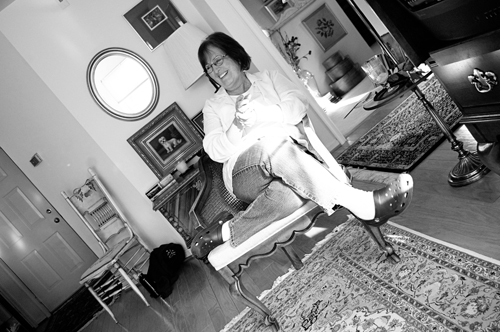 My stepmother, Jan, who I call Maddie, is a really wonderful person. Since my Dad remarried while I was in middle school I’ve incredibly gotten close with her, my step siblings, and my entire extended step family. It’s been nice, having all that additional family, and I’m so grateful that I have been able to have good relationships with them, as that’s not the case most of the time. Something all of my parents insisted on when I was growing up was a sit down dinner every night. So, no matter whose house we were at, I sat down with some part of my family every night for dinner until I went to college. At Dad and Maddie’s house there were a total of six kids. At first, in middle school, Dad and Maddie would eat with us, we would all sit down and eat together, talk about our days. As we got older and more of us became teenagers (my sister Lauren and I are the oldest, so when we moved out there were still 4 teenagers left in the house), the conversation became increasingly focused on, well, poop and farts. That’s when the parents stopped eating with us. Though you could always hear Maddie sighing in the other room everytime someone made a particularly inappropriate comment (usually one of the boys). 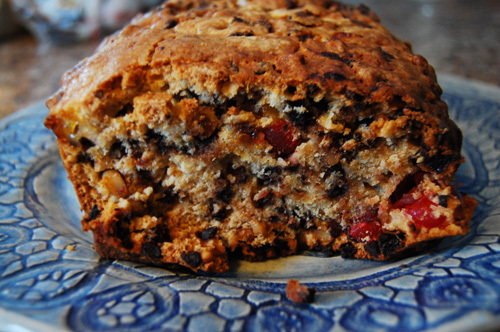 This recipe, Magi Bread, is Maddie’s mother’s recipe, and is traditionally a Christmas recipe. Dan, whose family is German, said that this is similar to something his family makes. Maddie is Polish, so my assumption is that Magi bread, also known as Gift of the Magi Bread, is an eastern European treat. 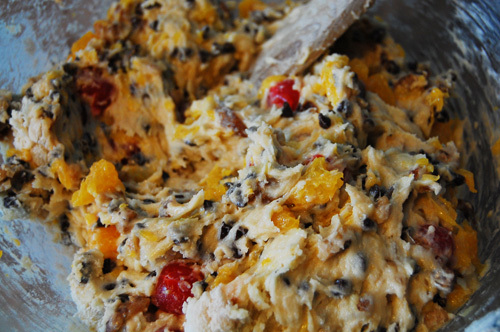 I’ll admit I was incredibly skeptical about this recipe, because I don’t usally like fruit breads, or pannettone. A few of my aunts and uncles on my mother’s side love it so it’s around a lot during the holidays, but I’ve never acquired a taste for it. This bread, however, was pretty good. I was surprised when making it because it’s like 90% fruits and nuts and 10% bread, so I expected it to come out more like a very thick cupcake than a bread. In texture it resembles a banana bread, because it is incredibly moist. The flavor is somewhere between banana bread and a chocolate chip cookie, with a maraschino surprise every once in a while. I can see why it’s a holiday favorite. Cream butter and sugar. Add in eggs, one at a time, and vanilla. 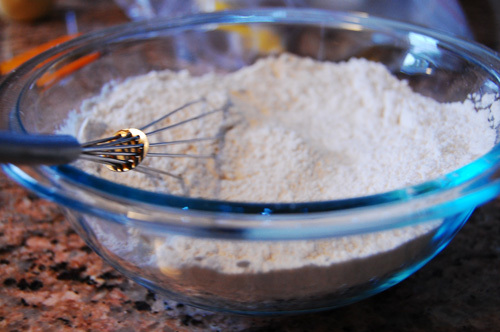 In a separate bowl, mix flour, baking soda, and salt. 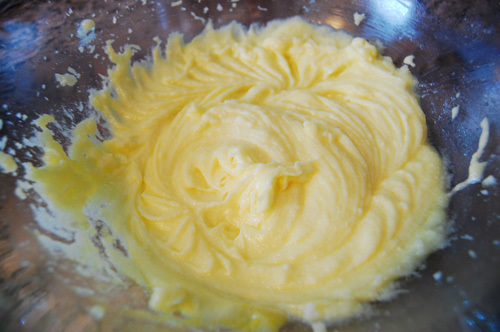 Add flour mixture to butter a little at a time, alternating with the mashed bananas. 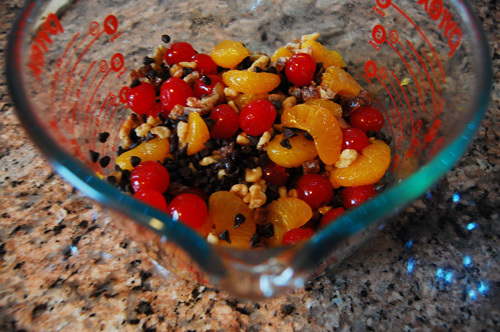 Stir in the mandarin oranges, chocolate chips, dates, walnuts, cherries, and coconut. Pour into greased baking pans. Bake at 350 for 1 hour if you’re making two separate loaves and 2 hours for a large loaf. Makes 2 small loaves or 1 larger loaf. One of the most unfortunate things about living in Florida was how far away we were from my mother’s side of the family. My grandparents made frequent trips down to see us, but we still didn’t see them as much as I would have liked. When we moved to North Carolina we were closer, but it wasn’t until I decided to go to school in Baltimore that I got the opportunity to see my grandparents on a regular basis. They had, by that point, moved from New Jersey to the D.C. area, so I got to see them a few times a semester. 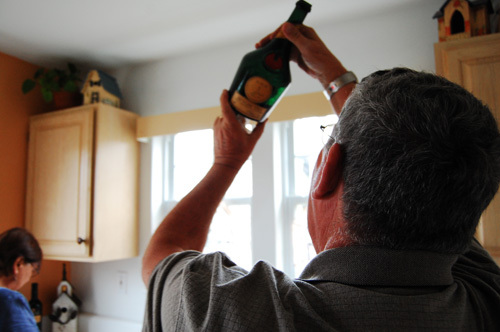 I have really enjoyed reconnecting with my grandparents of an adult. They’re both completely hilarious and adorable and a lot of fun to be around. My grandmother, Marlene, is a little morsel of a woman, barely (if at all) reaching five feet, which means I have towered over her for at least ten years. She can quite literally fill a conversation all by herself, which is why a phone call that starts with “I don’t have a lot of time to chat” usually ends an hour later with me completely filled in on the goings on of everyone in my family, plus some extras. As you can probably imagine, my grandmother is also an amazing chef. One of my favorite “bits” that my grandparents do goes as follows. We’ll be out at a restaurant, and my grandmother will be perusing the dessert menu and come across an item that she makes well. She’ll exclaim “Molten lava cake! I make an excellent molten lava cake!” My grandfather, in turn, will huff, and respond “HA! When was the last time you made a molten lava cake? You never make ME molten lava cake. You don’t even make me cookies! Do you know what I would do for some cookies?” I call it a bit because even though I’m pretty sure they do this to entertain me, I know Poppie probably wants some damn cookies. When I invited my grandmother to be a part of this mother’s day series, we decided that it would be fun if we cooked something together, as they only live half an hour away from us. So this past weekend Dan & I drove to Gaithersburg and spent the afternoon cooking, drinking, and laughing with my grandparents. My grandmother had a rough menu laid out when I got there, but we made a few decisions ad-lib, much to Poppie’s chagrin (he’s a planner). We made Chicken Spezzatini a la Lieggis, Molten Lava Cake, and sangria. Chicken spezzatini is breaded chicken cooked with mushrooms and white wine. It is served with fettucini or spaghetti that has been tossed in olive oil, butter, and parmesan. 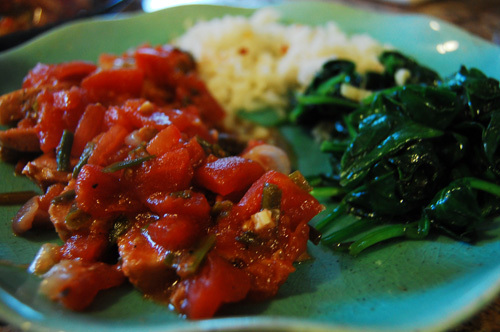 We also had it with a side of fresh spinach tossed in garlic and olive oil, one of my favorites. 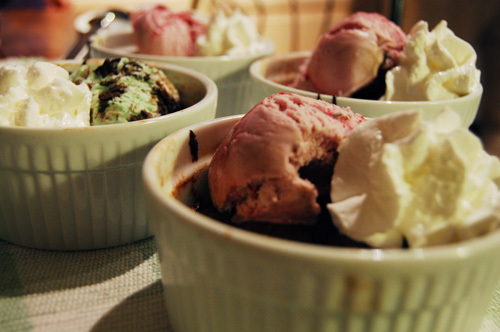 Molten lava cake is a dense chocolate cake baked in a ramekin, with a liquid (or molten) center. Our molten lava cake didn’t turn out quite the way we expected it to. On account of the sangria, Grammy & I didn’t feel as compelled to follow the recipe as we usually would have, and so the center was not really molten at all. 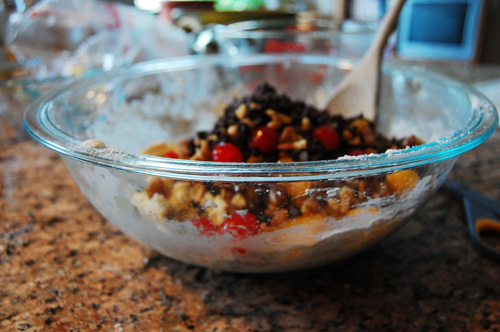 I’ll take responsibility for over whisking, though I should really just blame Poppie & Dan for the heavy-handed sangria. It was wonderful to spend the afternoon relaxing and cooking slowly, trying fruitlessly to refuse appetizers and then getting scolded for not eating enough dinner. It was a wonderful meal and I loved every minute of it. 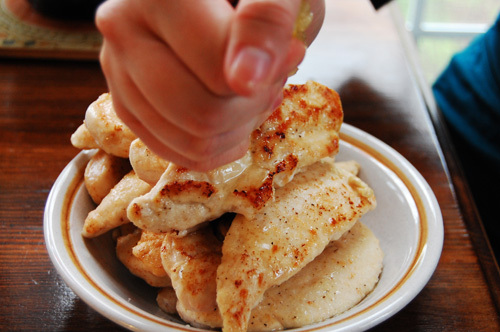 Dip each piece of chicken in milk, and then dredge in flour. 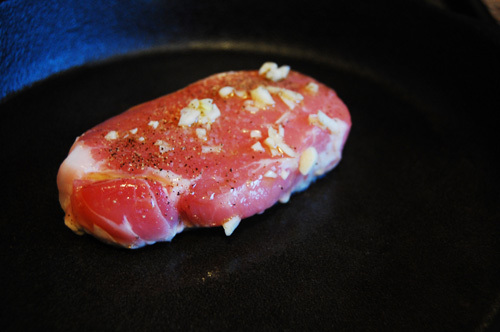 Heat olive oil and butter in a pan and brown each piece of chicken, then set it aside. 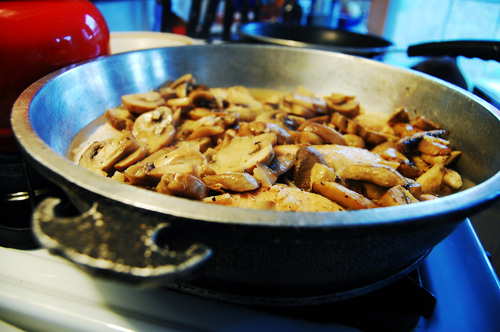 Add mushrooms, garlic, and salt & pepper to the pan. 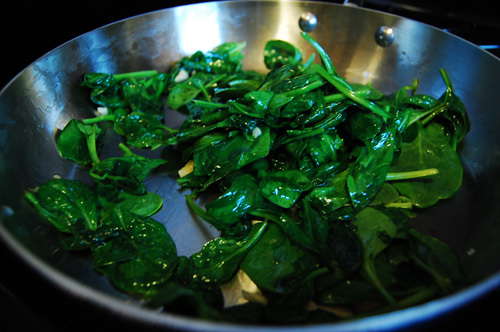 Add wine and lemon juice, and allow to reduce. Pour in chicken broth and allow to reduce again. 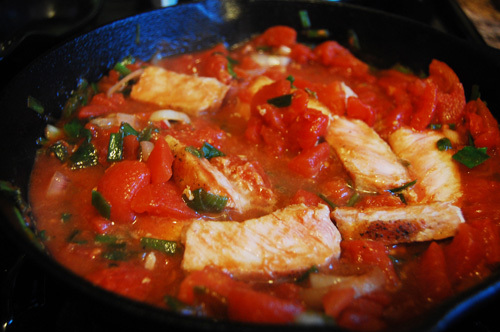 Add chicken back into the pan, and let the whole mixture simmer for at least half an hour. Sprinkle with parsley and serve along side fettucini. Begin by melting butter and chocolate together. Set aside. 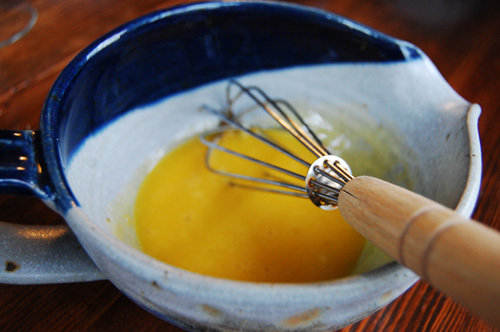 Whip eggs, yolks, and sugar with an electric mixer until a ribbon forms. 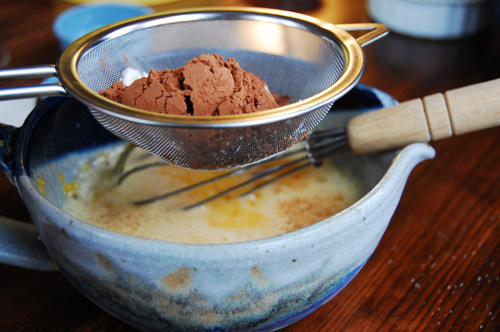 Combine flour and cocoa powder, and sift into egg mixture, half at a time. Fold in melted chocolate and butter. Brush each ramekin with melted butter, and pour mixture into ramekin. Allow the ramekins to stand at room temperature for 20-30 minutes before baking. Bake at 450 for 8 minutes.